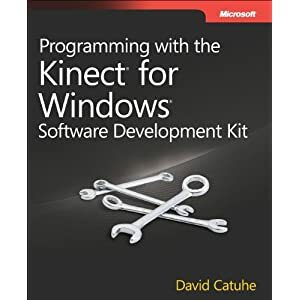 Create rich experiences for users of Windows 7 and Windows 8 Developer Preview with this pragmatic guide to the Kinect for Windows Software Development Kit (SDK). The author, a developer evangelist for Microsoft, walks you through Kinect sensor technology and the SDK—providing hands-on insights for how to add gesture and posture recognition to your apps. If you’re skilled in C# and Windows Presentation Foundation, you’ll learn how to integrate Kinect in your applications and begin writing UIs and controls that can handle Kinect interaction. Cette entrée a été publiée dans Livres sur Kinect, et marquée avec kinect SDK, le 25/09/2012 par Vincent Guigui.